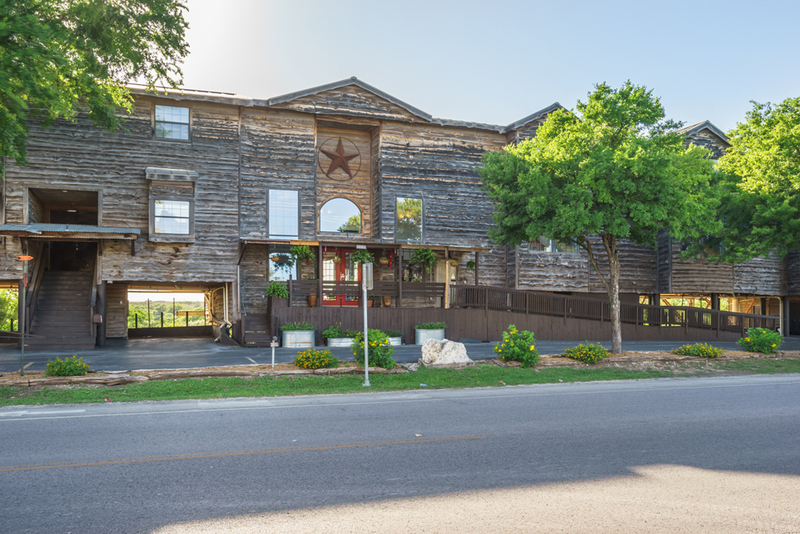 We are within walking distance of Historic Gruene and Texas’ oldest dance hall, Gruene Hall and located across the street from Gruene Lake Village; where you will find shopping, dining, and nightlife. 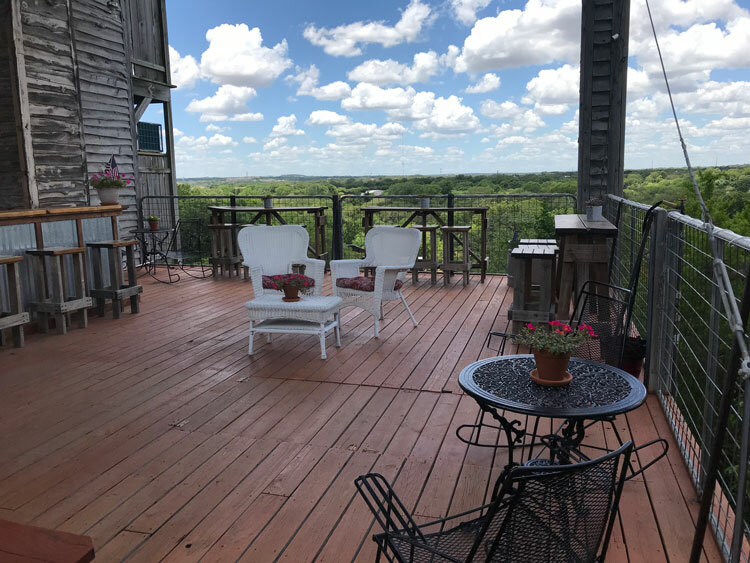 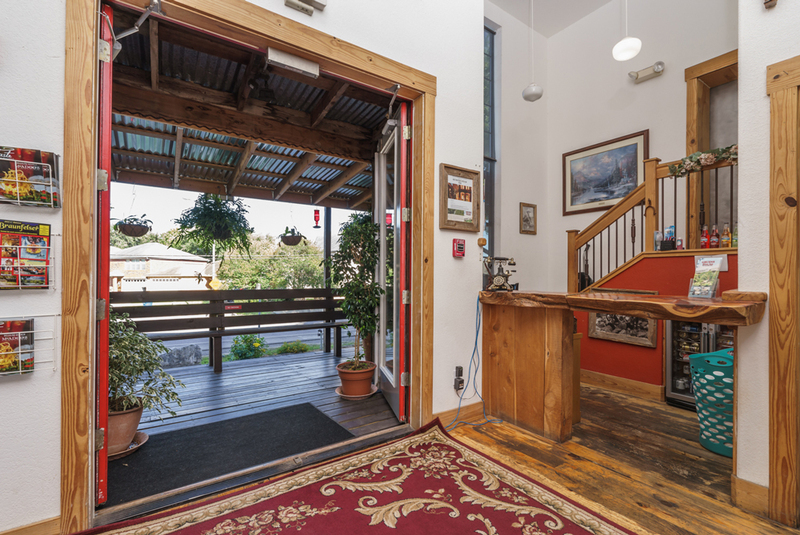 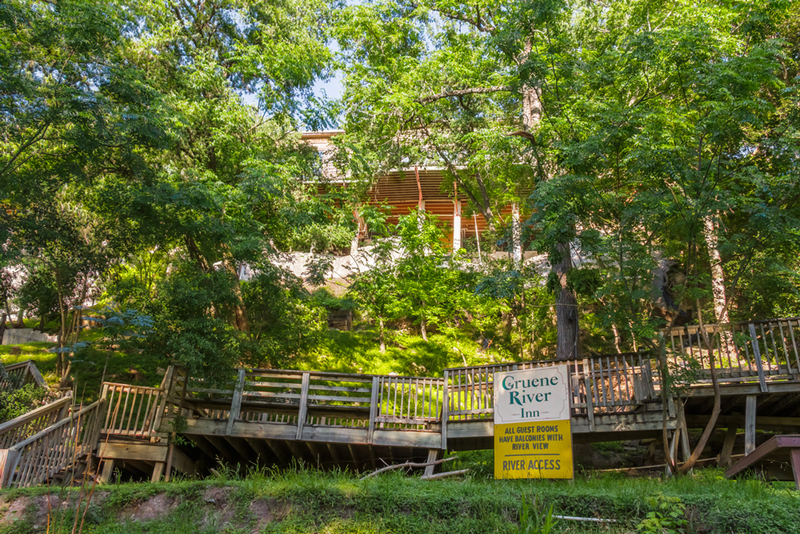 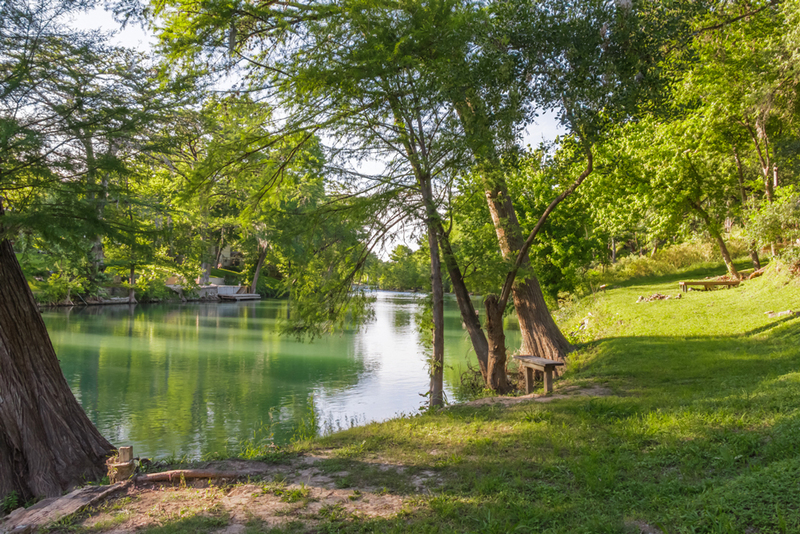 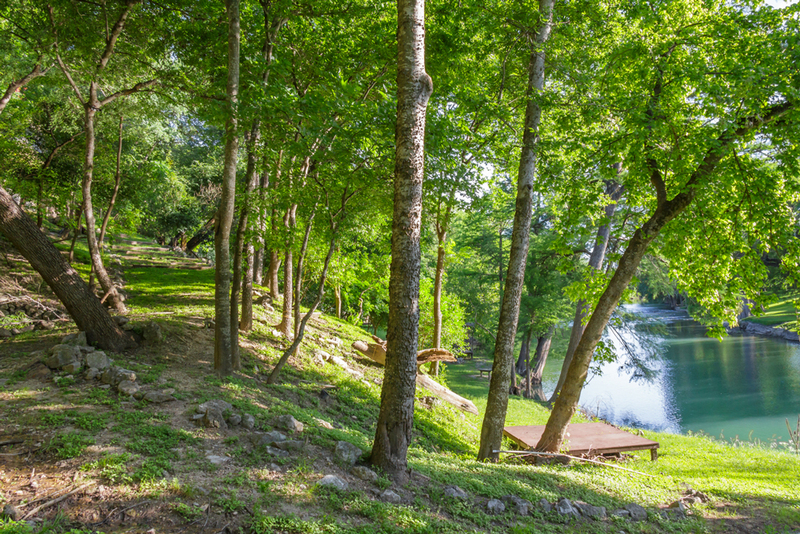 The Gruene River Inn offers our guests gracious panoramic views that are unmatched in the area. 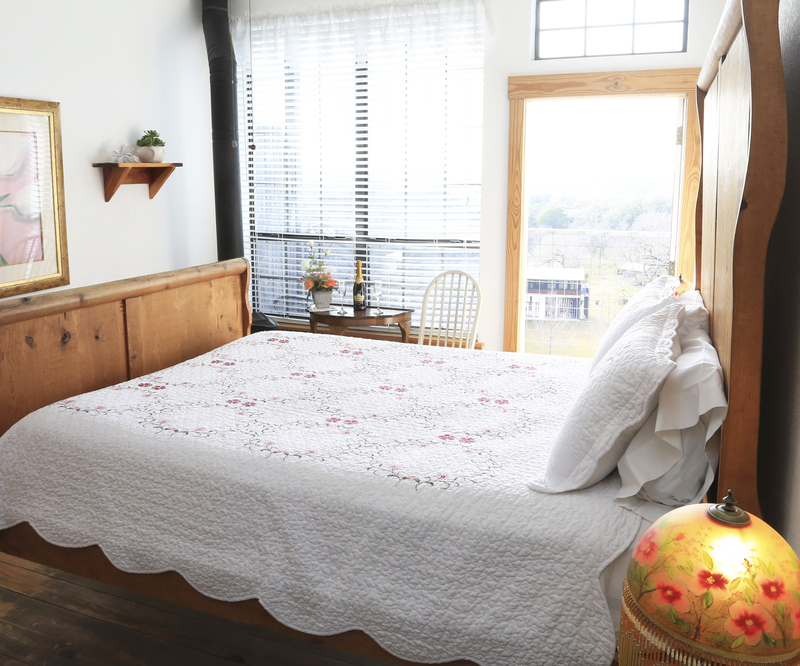 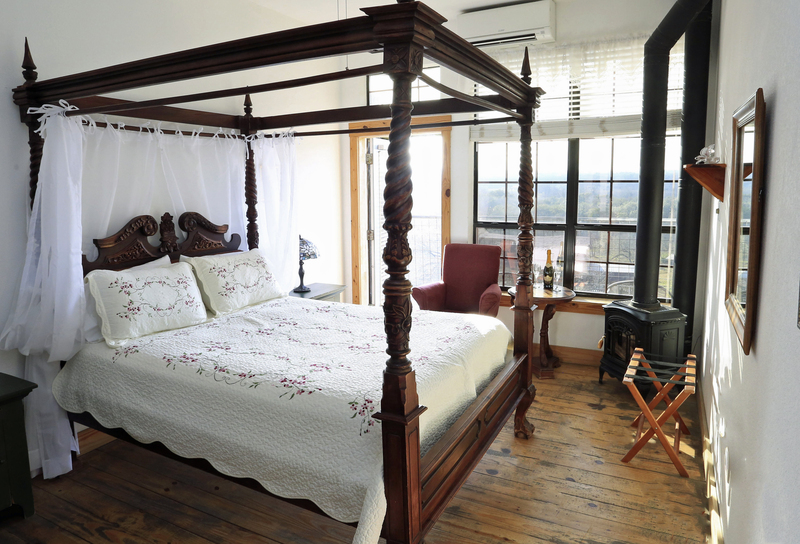 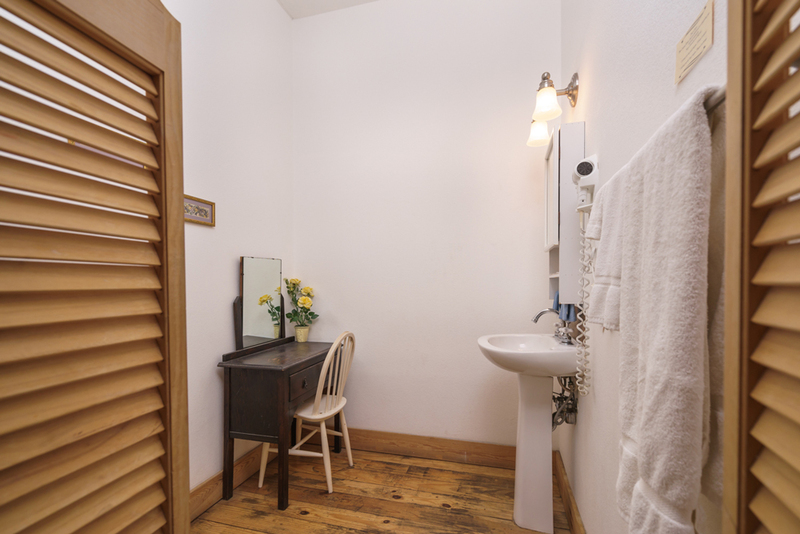 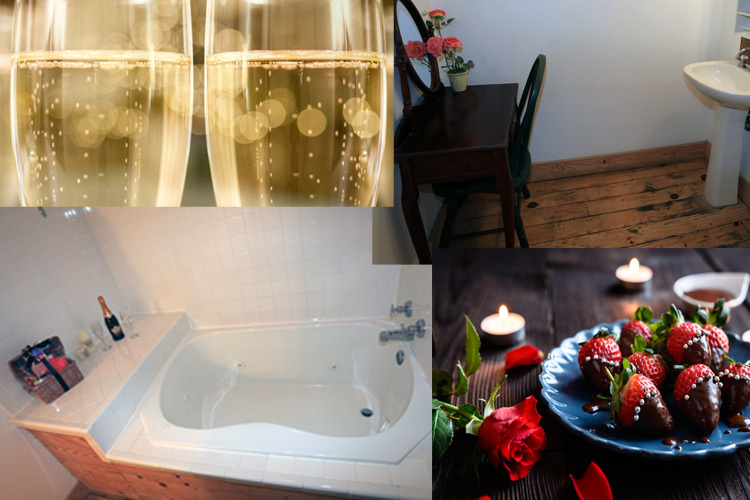 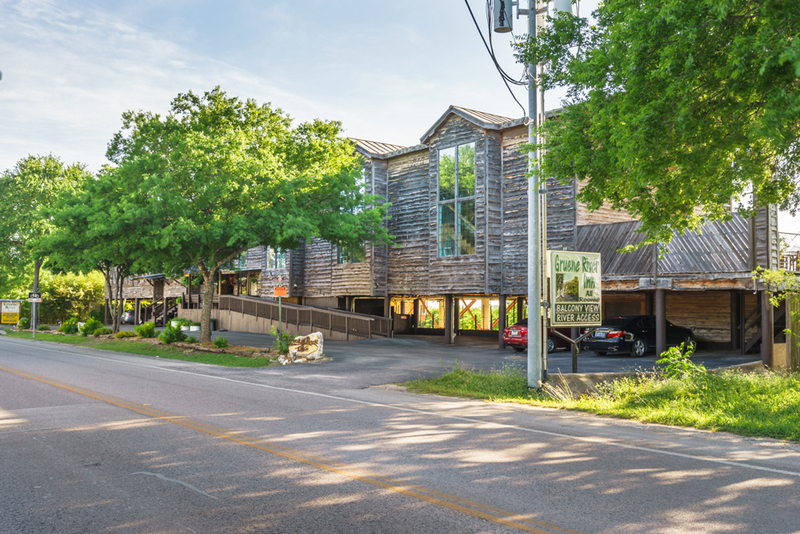 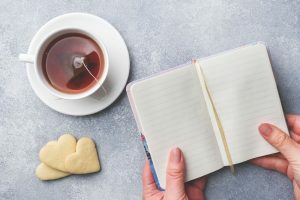 At the Gruene River Inn, all of our guest rooms are all furnished with a queen sized bed, cable TV, a large jacuzzi bath, a gas fireplace, and wireless internet access. 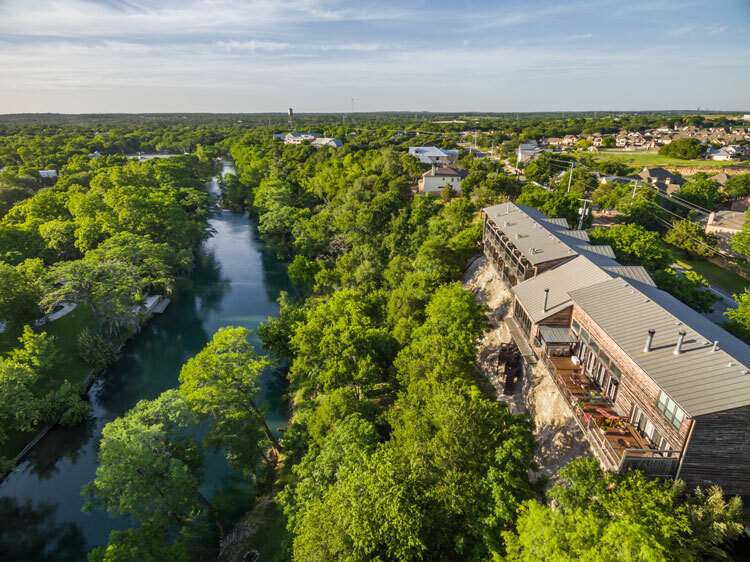 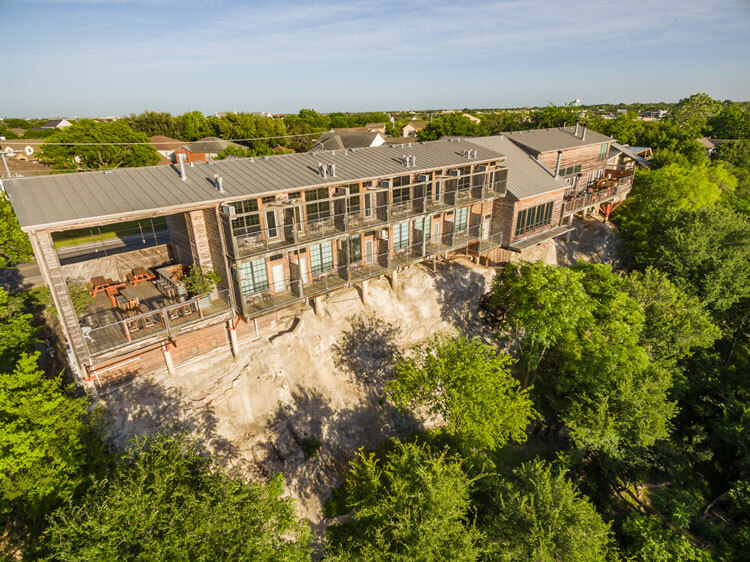 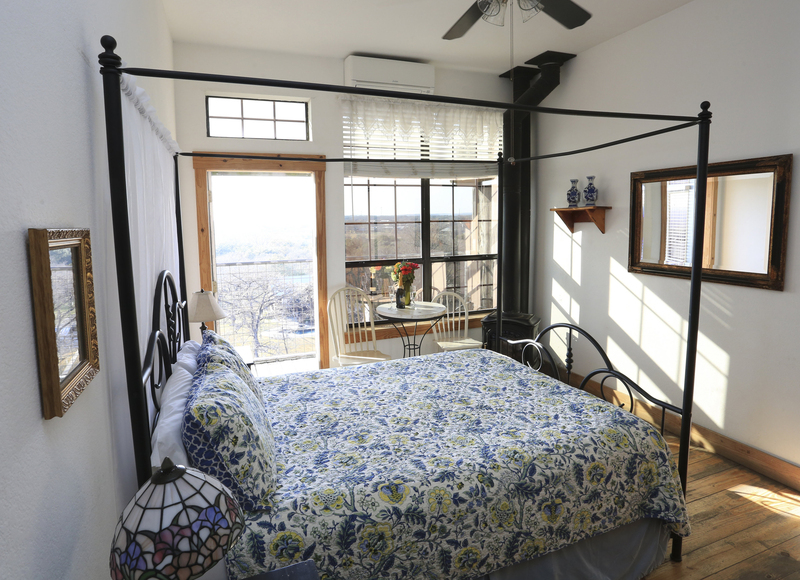 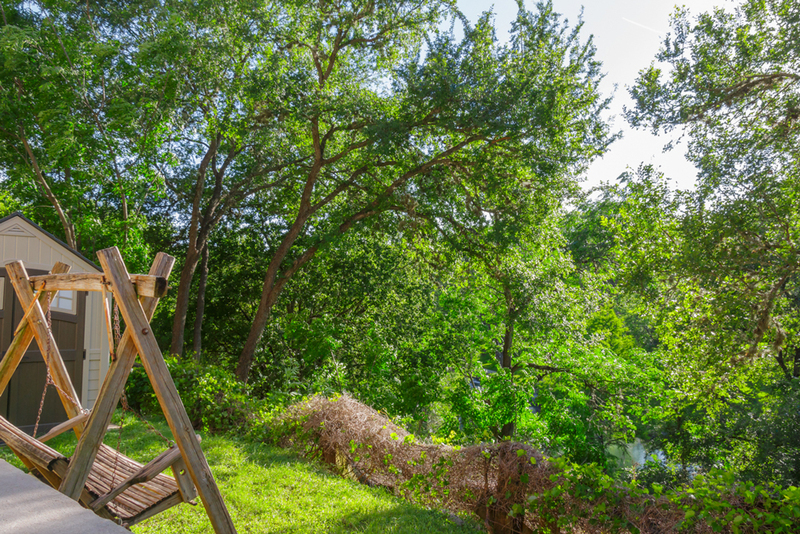 Every room is also accompanied by a private balcony that overlooks the Guadalupe River with its cypress-lined banks, beautiful rapids, and its exquisite Texas Hill Country views. 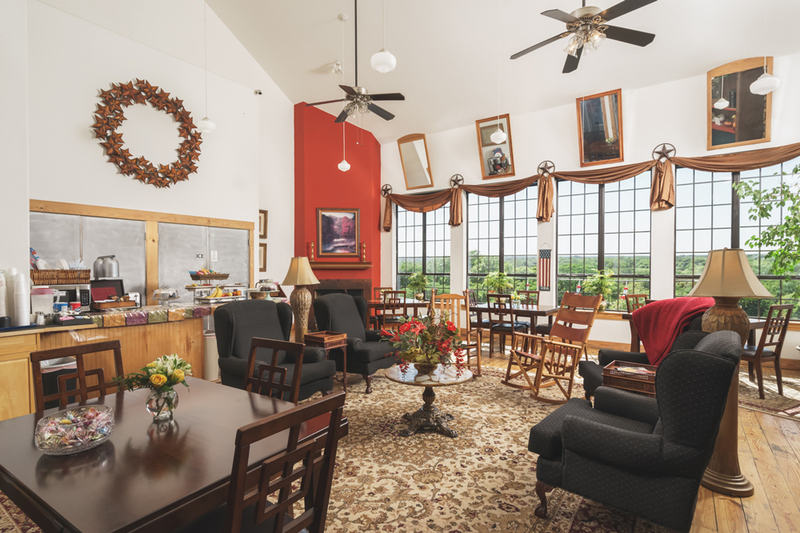 A delicious buffet-style breakfast is included with your stay. 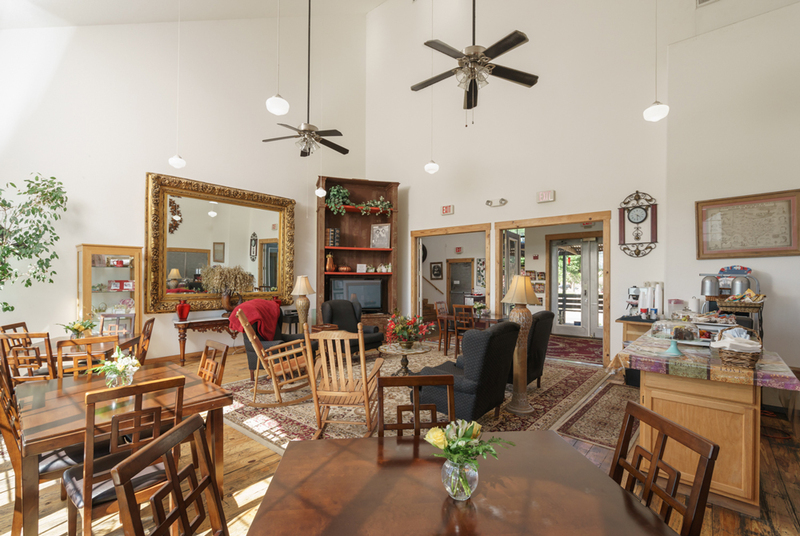 We serve hot beverages, pastries, cereals and fresh breakfast tacos. 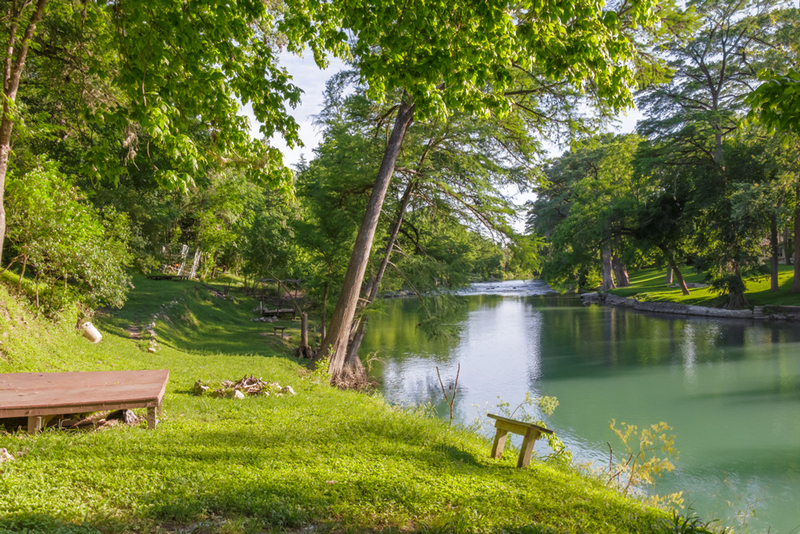 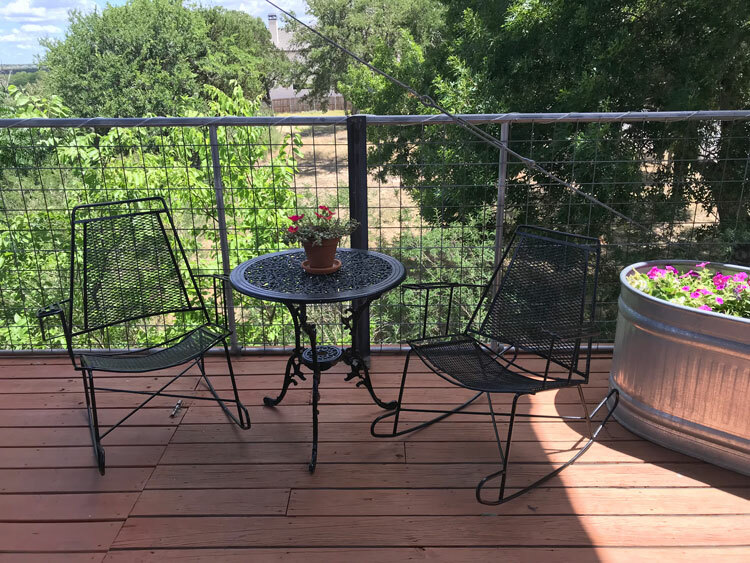 Check out our Gift Shop section where you can purchase a Bucket of Beer, the makings for Mimosas or even champagne and strawberries to enjoy while sitting under the stars next to the beautiful Guadalupe River or on your private balcony.